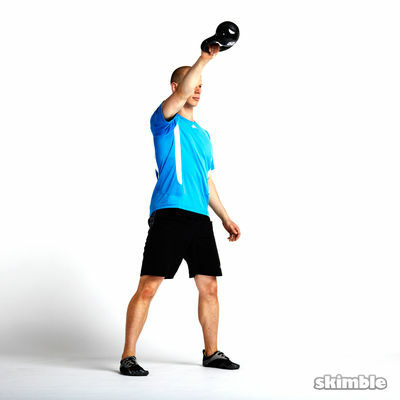 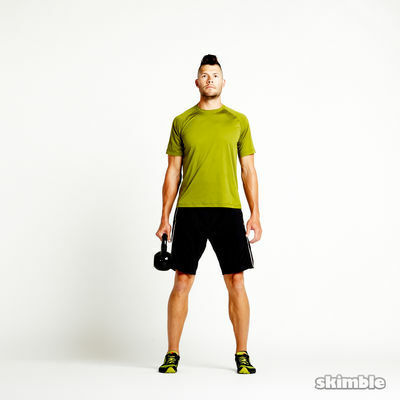 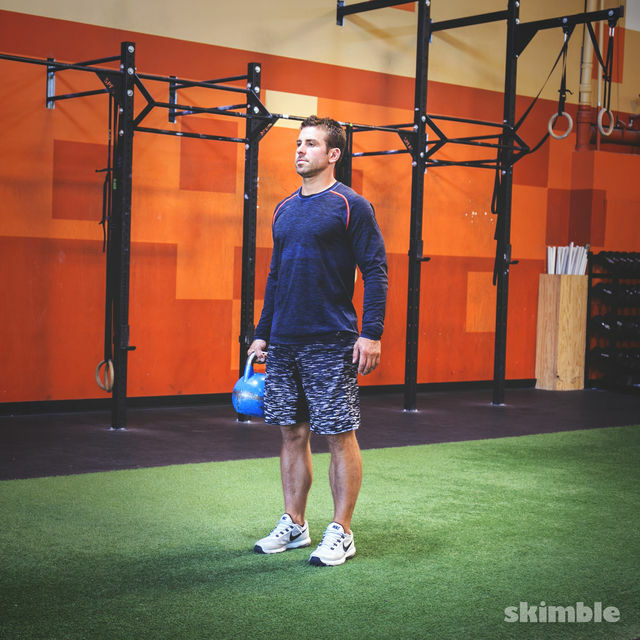 Stand straight with your feet together and a kettlebell in your right hand. 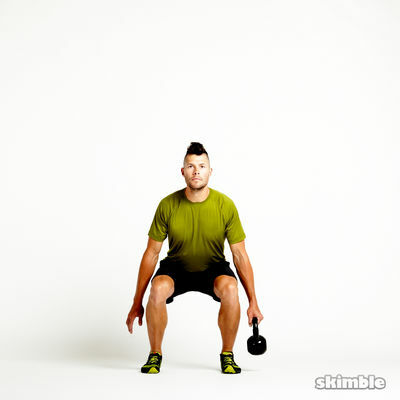 Lunge backward with your left leg, bending both knees to 90 degrees and gently touching your left knee to the ground.  Return to the starting position. 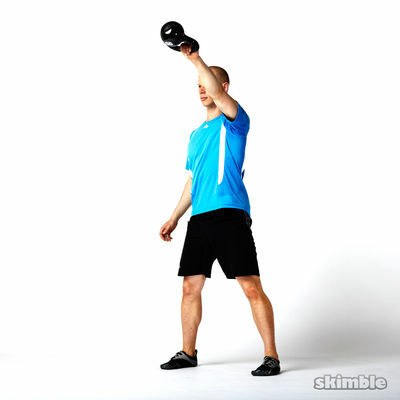 Repeat with balance and good posture throughout.